The fresh shoots are a big improvement over the canned and have the texture of asparagus and a flavor like a mild, tangy corn. These similarities might arise from shared evolutionary history between bamboo and both vegetables. 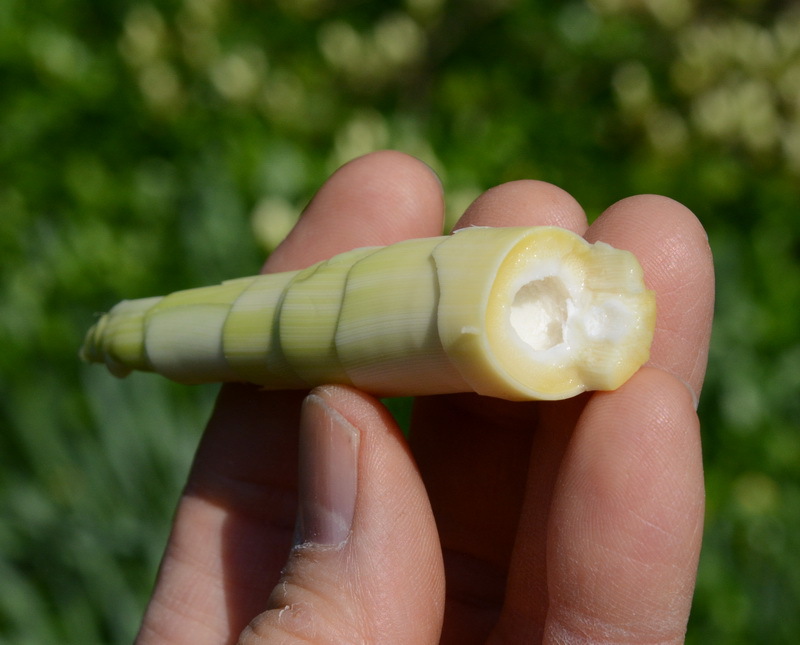 Like corn, bamboo is a grass (family Poaceae; see our post on the evolution of gluten within the grasses for a phylogenetic context of bamboo within the grasses). Like asparagus, bamboo is a perennial monocot (see our monocot diversity essay and our food plant tree of life for a refresher on monocots and their phylogenetic position within all plants), and its shoot is a new young stem developing from underground stems called rhizomes that spread out from a parent plant as a form of asexual reproduction. 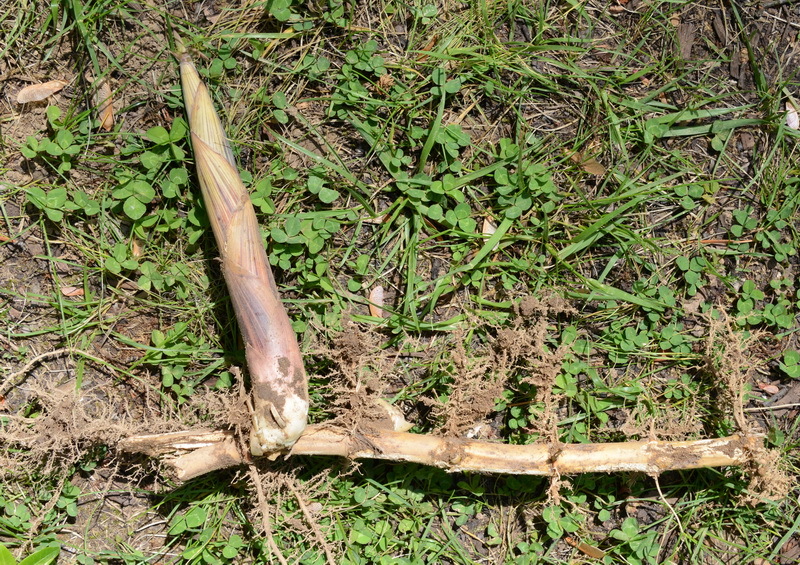 As Katherine described for asparagus, these monocot shoots arising from rhizomes are as thick as they ever will be, dictating the diameter of the bamboo pole that would develop if the shoot were left to grow. 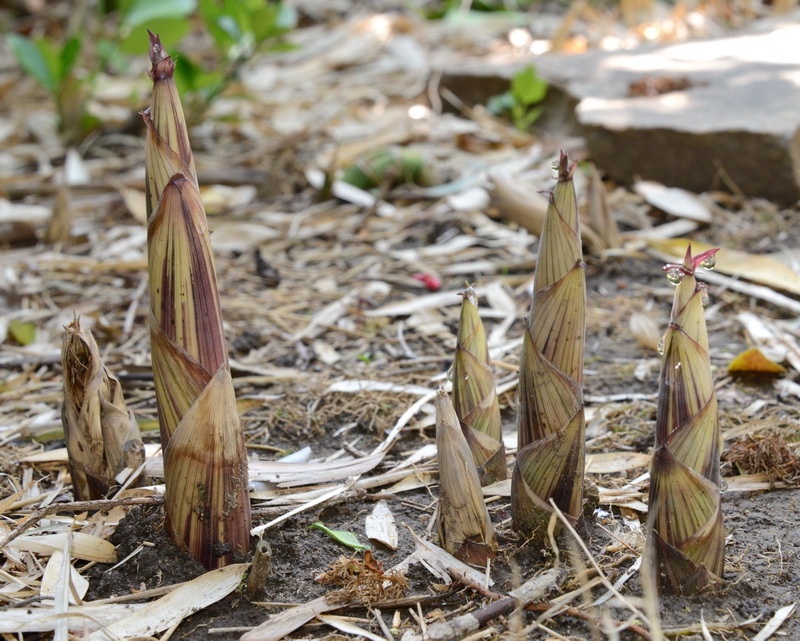 And, like asparagus, timing is of the essence, as the shoots must be harvested before wood develops. Once harvested, a bit of time and effort is required to turn them from lawn ornament to foodstuff, as the tender edible portions of the shoot are covered in coarse, inedible, densely overlapping bracts, the specialized modified leaves that are particularly conspicuous in artichokes and asparagus. Each bract subtends and protects what will eventually be a fully expanded leaf or branch, if the plant were allowed to elongate. The edible portion of the shoot consists of developing leaf primordia and the large apical meristem (the stem-cell-like tissue from which all new parts of the growing plant originate that you learned about in the Brassica oleracea post). 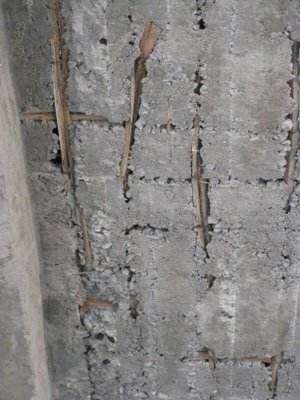 Rhizomatous spreading is responsible for producing dense thickets of bamboo. Many species of bamboos native to Asia have become naturalized or invasive in North America. At the same time, the ranges of the three species of bamboo native to the United States (Arundinaria spp. ), are dramatically reduced from their historic (pre-Europeans) distribution. 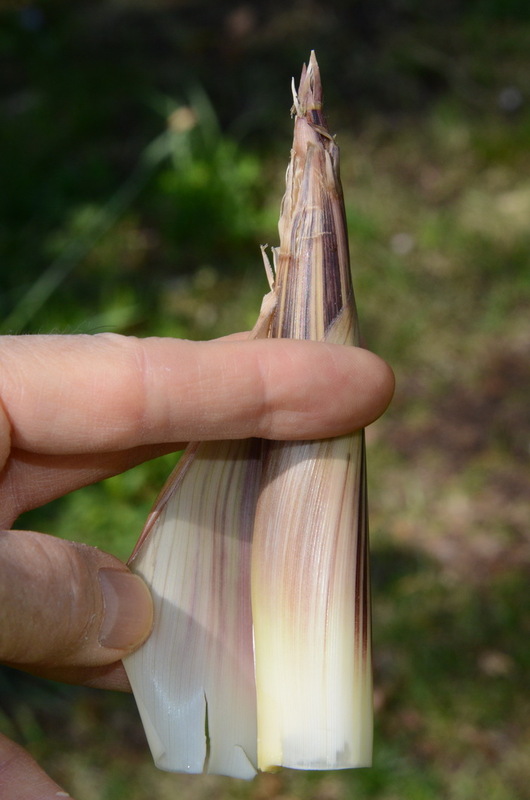 Arundinaria shoots were an important Native American food source. I don’t know the particular species that grows in my friend’s yard, but based on the fairly large diameter and height of the stand, it is probably an Asian Phyllostachys, one of the timber bamboos, an important construction material throughout much of the world (and in this impressive-but-prohibitively-expensive bike that I covet). Bamboo spreads so aggressively that it is even banned now in some places. The best way to stop bamboo spread is the simplest and most delicious: harvest the shoots. If you do, cook them before you eat them. Our old toxic defense compound friends cyanogenic glucosides that seem to just pop up with extraordinary frequency in angiosperms (we’ve already talked about them in the Rosaceae and Dipsacales) are present in bamboo shoots in somewhat worrisome concentrations but can be disarmed by even light cooking (like steaming). This entry was posted in Uncategorized and tagged bamboo, bract, grass, Jeanne L. D. Osnas, monocot, Poaceae, rhizome, shoot. Bookmark the permalink. Great post! I would say the older shoots in your top photograph are well over the ideal eating stage – I prefer them when they are just pushing up the litter on the forest floor but before they have actually emerged into the light, so they are completely white. When you boil them up, it’s a good idea to add a handful of rice bran for each tip to absorb the bitter compounds and presumably glucosides. Thanks! They were actually okay! ‘OK’ doesn’t do justice to the ones I’m thinking about eating. Hard to describe but perhaps a weak aromatic sweetness, like basmati rice, and cruchy but crumbling, maybe like a cheese, in texture. Utterly different to the canned ones in Chinese restaurants in the West. I used to include Phyllostachys in garden designs, but no longer – Fargesia, now, if anything, as it clumps and does not run. Would you consider taking on Japanese knotweed as an edible subject? I also advocate eating it, as a form of control. Good to know, Marie. Thanks for the tip. Love, love, love this blog. In the span of the time required to read it, I’ve become a fan. Science, great writing, food…what more could a girl ask for? Wow, thank you once again! My experience (also in James Wong’s Homegrown Revolution) is that the ‘nasties’ content varies between species. I remember, full of naivity, stir-frying bamboo shoots when I lived in central China…only for them to taste bitter and give me a dreadful stomach ache. It turned out they needed boiling for 30min to make them safe to eat. Fast forwards 7 years to Papua New Guinea, where our local town market sold small quantities of a giant bamboo to the East Asian expats…..which I boiled for 30 min only to be informed by a friend that it just required a quick stir-fry! Grrrr!